Celebrating 12 years of fashion. Voted 'best boutique' by Marin Magazine. 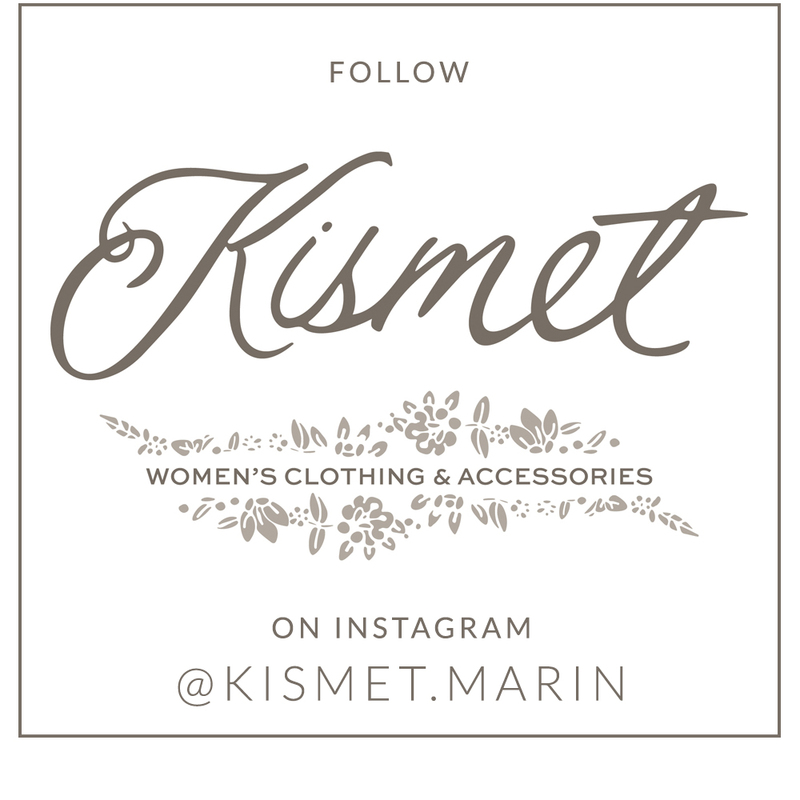 Located on San Anselmo's picturesque main shopping avenue, Kismet features top notch clothing and accessories for every occasion. We delight in finding something for everyone, and offer superior customer service and personal shopping to our clients. No matter what your personal style, our spacious and elegant space is the place to find it! Voted 'Best Boutique' by Marin Magazine. © 2017 KISMET CLOTHING BOUTIQUE. ALL RIGHTS RESERVED. WEBSITE BY KNOCKOUT.DESIGN.